Mt. Everest for breakfast is a luxurious way to observe the mesmerizing view of the Himalayas with sitting in a comfy environment along with coffee/tea in the table. The trip to Everest region is itself an interesting experience. It will be a wonderful and amazing choice for having the breakfast at an elevation of 3962m. Breakfast at Everest offers with the panoramic view of the great snow-capped mountains. The dazzling scenery of the Everest region really makes the breakfast much tastier and aromatic. Breakfast at Mt. Everest is an astounding helicopter tour towards the popular travel destination, Everest Region. The morning flight from Kathmandu airport to the Everest Base Camp comes up with the remarkable features and provides with beautiful view through the clouds. The helicopter tour to Everest region, passing over through the charming natural wonders, provides an amazing moment to sit in front of gigantic Himalayas and have a sip of coffee/tea. Hotel Everest View is the world highest placed hotel that offers with the mesmerizing panoramic views of the towering Himalayas. What else the fabulous moments will be, having breakfast with observing the scenic beauty of the mountains! 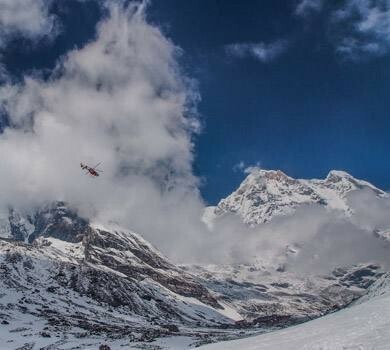 The helicopter tour to Everest region offers with new and worthy travel experience of a lifetime. Along with this, early morning helicopter tour for the breakfast at Everest delivers stunning views of the great Himalayan Range. The helicopter sightseeing around Khumbu region, including Gokyo Valley, adds extra flavor to this tour. The major attraction of Breakfast at Everest Base Camp is the picturesque view of the mountains like Ganesh Himal, Langtang, Dorje Lakpa, Cho Oyu, Gaurishankar, Makalu, Lhotse, Nuptse, Mt Everest, Mt.Pumori, popular Khumbu glacier and the Gokyo valley. Create the outstanding moments of lifetime with enjoying in eating the breakfast in front of Mt. Everest and many other gorgeous massifs. This will be the amazing short tour towards the Himalayan region of Nepal. Participating with friends and family members, eating the breakfast at Everest and witnessing the beautiful views of towering mountains will make the short tour full of beautiful moments. For a delightful, astounding and luxurious tour for breakfast to Everest Base Camp via Helicopter the climate condition plays a prime role. The season of Nepal usually allows for helicopter tour throughout the year (depending on respective day weather condition). The expert team of Massif Holidays highly recommend for Everest Breakfast Helicopter Tour within the month of March, April, May, August, September, October, November and December. Under the guidelines of Massif Holidays, the crew member helps to make a breakfast tour to Everest too fascinating and unforgettable. Massif Holidays provides with the best services and guidelines for Breakfast at Everest. The perfectly organized Everest Base Camp Breakfast Tour in charter basis for families, group of friends, couples and individuals. Heartily welcomes! Feel free and comfortable to contact the expert team of Massif Holidays for luxurious and fabulous Breakfast Tour to Everest Region. Luxury tour to Everest Base Camp. Aerial View of Khumbu Region. Mesmerizing view of Mt. Pumori, Mt. Everest, Mt. Nuptse, Mt. Cho Oyu, Mt. Lhotse, etc. Day 01: Helicopter Tour to Everest. Breakfast at Hotel Everest View. Tea/coffee and light breakfast at Everest View Hotel. 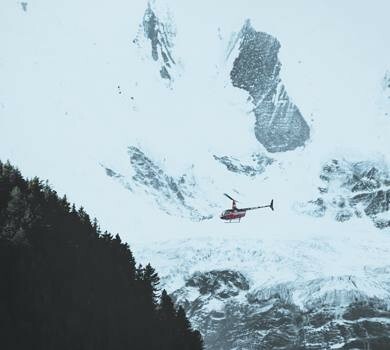 The listed optional facilities for the Helicopter Tour in Nepal are not included in the travel cost. As per guest choice and demand for extra facilities or services some amount will be added to the helicopter tour package cost. 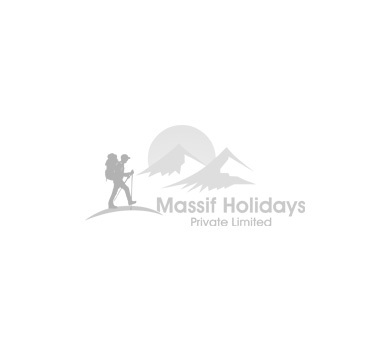 You can include the other extra facilities and services in your travel package consulting with the crew member of Massif Holidays. The tailor-made itinerary of the respective, Breakfast at Everest, tour package is organized by the expertise of Massif Holidays with undertaking and going through with distinct favorable routes (flight) that are followed by the different departure dates throughout 2019 and Nepal visit year 2020 (can also plan and book trip for the near future). The different departure dates can be provided as per the traveler’s interest and time frame. The cost which is mentioned for each and every enlisted departure dates are guaranteed but as per group travelers and joining trip the cost can be varied. Experience and witness the Himalayan beauty of Nepal in your next travel bucket list.